Good Customer Service: Do you implement all 7 enablers? Delivering good customer service has gone from a “nice to have” to a “core deliverable” in the past 10 years. Making sure that your organisation can deliver excellent customer service requires a good alignment of all the key enablers. The old maxim that “what gets measured get done” is true here as it is everywhere else. Make sure that you are measuring your level of customer service. While “Customer Satisfaction” has been around for a long time there are more effective tools now such as Net Promoter Score. Investigate them and use them in your business. While you’re at it don’t just measure outcomes, also measure customer service drivers: what are the service attributes that customers care the most about. Then you can design your service process to target those key areas more effectively. You wouldn’t expect your staff to know how to use a new computer system without training; why should you expect them to know how to deliver good customer service without training. Having been trained in delivering good customer service, staff need to know the customer service goals of the organisations. This can include the hard measures that you might have in your contact center but it should also include the softer and more general service goals for your organisation. Often these goals will be an outcome of the organisation’s strategic plan and will be embodied at a high level in the balanced scorecard or other strategic document. Without knowing the goals of organisation staff will be in the dark on the day to day actions that they should be taking to move the company along that journey. Delivering just beyond customer expectations is a critical element of delivering good customer service but the trick is in knowing your customer’s expectations. Those expectations have often been set by other parts of your organisation so understanding those expectations is critical. You need to provide your service staff with details of those expectations so that they can deliver beyond them. If you deal in a customisable service offerings (professional services, computer support, etc) you need to standardise those offerings as much as possible and then provide a way for service staff to easily access the difference by customer. Even with the best will in the world you cannot deliver good service without appropriate resources. This is a simple: do you have enough staff to deliver what you have promised to deliver. If you do not have an appropriate number of staff you will forever be behind the eight ball. As a corollary to this point you also need a robust way to determine if you have enough staff. Tools and processes to determine your staff loading are key to understanding if you have the correct number of staff. It is true that you can run the entire operation on 4×6 index cards but that doesn’t mean it’s the best way to do it. Make sure that your staff have the right process tools such as help desk or CRM software. However, also make sure that they have the right business tools: analysis software, testing tools, etc to get the job done. Dropping the ball during a service hand-off. Your staff have to want to provide good service and management has to support them in that goal. 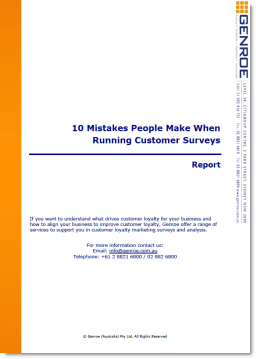 It is true that most staff want to do the right thing by the company and the customer. So make sure that you don’t get in their way. Generate a positive service culture for the company by making a good example of people in the organisation who provide excellent customer service. Lastly, if you think you know it all about delivering the best customer service you’re wrong. No-one knows everything, has had every interaction or is constantly in touch with all of their key customers. Decades of IT system implementation has automated the predictable in many organisations, making the unforeseen and unexpected service requirement the most likely to confront your people. Make sure that your staff know and understand that they are empowered to drive change in your delivery operations. Customer needs and expectations are constantly evolving and the only way that you can deliver great customer service in the long-term is to continually evolve with those expectations.